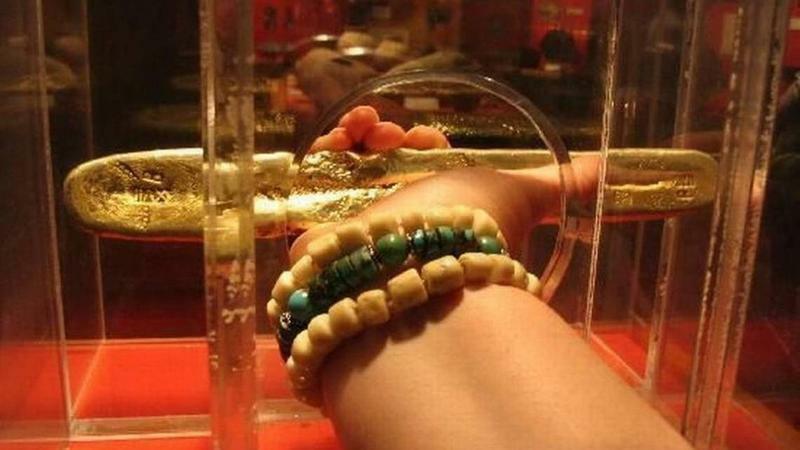 A gold bar that was once a featured exhibit at a Key West treasure museum was stolen in 2010. A federal trial in the case started Tuesday in Key West. 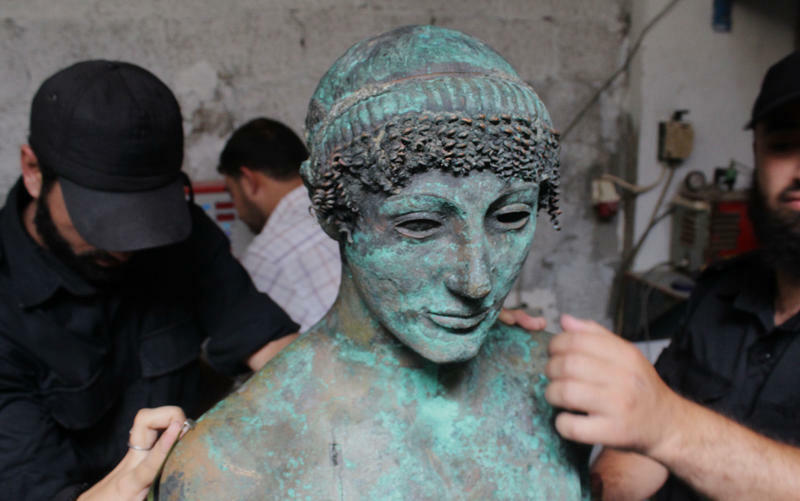 Jarred Goldman, 32, of Palm Beach Gardens, is charged with conspiracy and theft of a major cultural artifact in the 2010 heist of a gold bar from the Mel Fisher Maritime Museum in Key West. The gold was part of a treasure fleet bound from the New World to Spain that sank in a hurricane off the Keys in 1622. Treasure hunter Mel Fisher found the Santa Margarita, the ship carrying the bar, in 1980. The artifact eventually became part of one of the museum’s most popular exhibits. 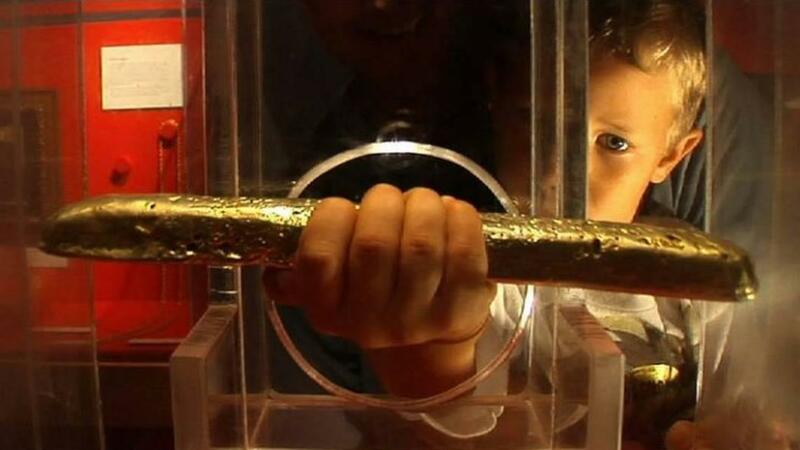 Visitors could reach through a clear plastic case and actually touch and lift the gold bar. But eight years ago, Richard Johnson broke a piece of the display case, slipped the gold bar into his pocket and walked out. Johnson was charged in the same indictment as Goldman. He has pleaded guilty to conspiracy and theft and is scheduled for sentencing in July. The museum had surveillance videos but for a long time, no leads on the perpetrators. “For eight long years, the case lay cold just like those ships at the bottom of the ocean,” Botero said. An anonymous tip led the FBI to Goldman last fall. According to court filings, Goldman “admitted that he acted as a lookout on August 18, 2010, while his acquaintance ‘Rick’ stole a gold bar” from the museum. Goldman’s attorney said Tuesday that his client’s role as a lookout was “pure speculation” on the part of the government and that the surveillance videos would not show him taking part in the theft. Assistant Federal Public Defender Ian McDonald said Johnson was only an acquaintance that Goldman thought he was getting a ride from in 2010 - and not to Key West. Goldman thought they were going to the Hard Rock Casino to play cards, McDonald said. If convicted, the maximum sentence of both charges would be 15 years. 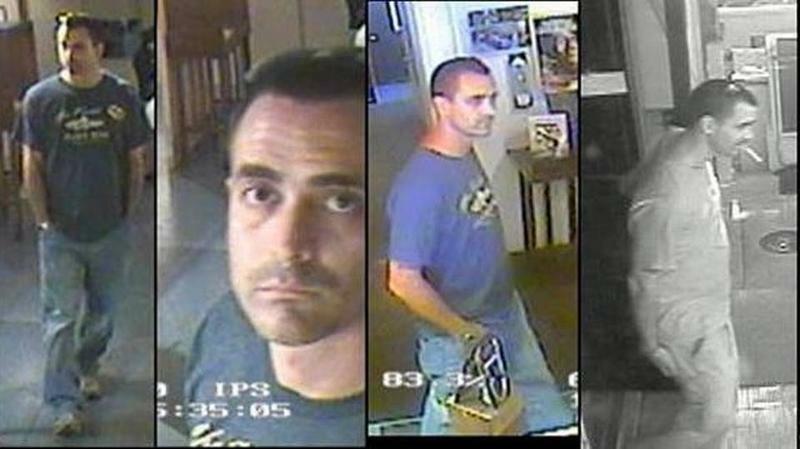 A California man has admitted to stealing a 17th century gold bar worth $550,000 from a Key West museum eight years ago. Richard Steven Johnson, 41, of Rio Linda, pleaded guilty on Friday at U.S. District Court in Key West to two felony counts related to the theft. His plea was in exchange for a lighter sentence, which wasn't defined. Johnson agreed to cooperate with prosecutors as they pursue a second suspect, Jarred Goldman, who awaits trial. His sentencing date hasn't been set. On a sunny Friday in August last year, Judah Abughorab paddled a small, flat boat over the blue Mediterranean Sea about 100 yards off the Gaza Strip's sandy shore. He doesn't really like to eat fish, but catching them is the unemployed construction worker's favorite pastime. That day, he netted a half a dozen. Then, through the clear water, he spotted something that made him look again. "It looked like a person," he says. "Eyes, a face, hands, fingers." 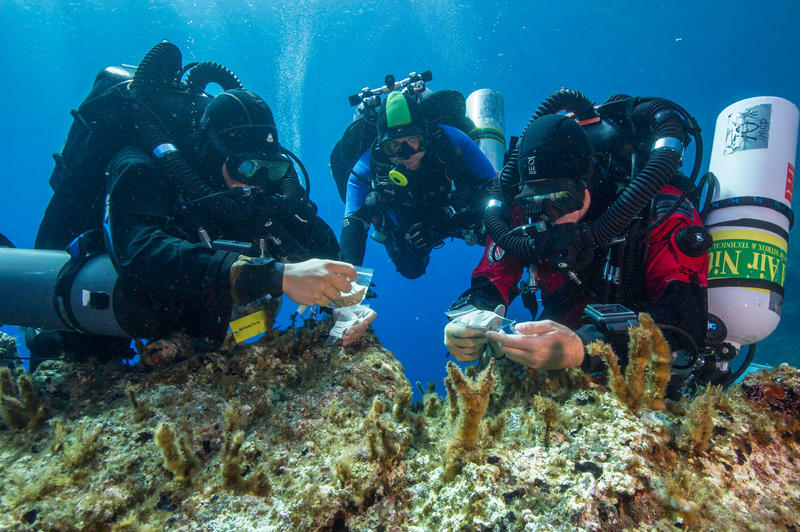 A team of archaeologists diving near the Greek island of Antikythera have reported a startling new discovery from a previously explored 2,000-year-old shipwreck. The find — a very heavy, metal cylinder — offers new insights into the maritime warfare of ancient times, the scientists say. The reef lights along the Florida Keys are still owned by the U.S. Coast Guard -- but a nonprofit group hopes to take over their care and make them a 100-mile long museum of maritime history. 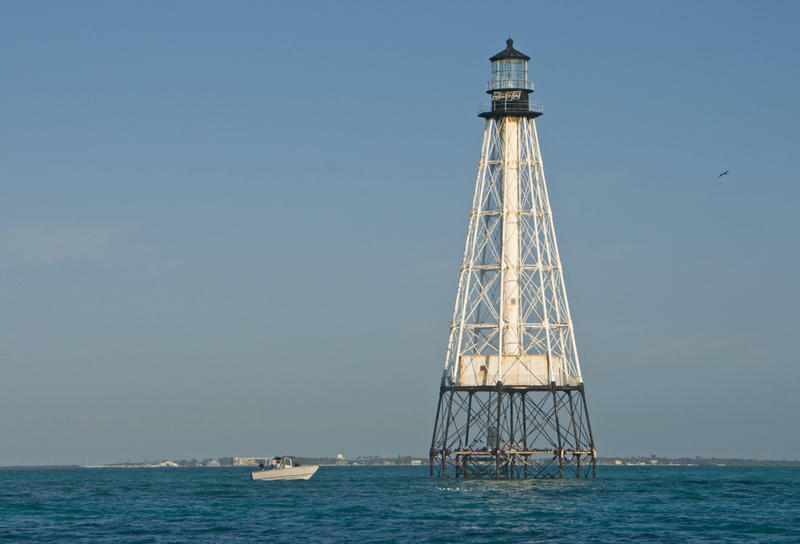 The Florida Keys Reef Lights Foundation is raising money to apply to the Coast Guard for ownership of five lights stretching from Carysfort Reef off Key Largo to Sand Key off Key West. The others are Alligator Reef off Islamorada, Sombrero Reef off Marathon and American Shoal off the Lower Keys.